S&P 500 and Dow Jones Industrial Average(DJIA ) indices are two of the world's most followed indices and are considered as the barometers of us markets. These indices have displayed historic resilience in holistically capturing the movements of the US markets. NSE is introducing rupee denominated future contracts on S&P 500 and DJIA indices. This is the first time in the world that futures contracts on S&P 500 index are being introduced and listed on an exchange outside USA. 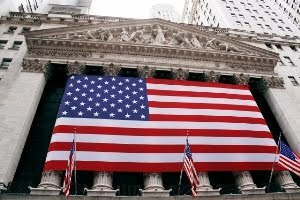 S&P 500 is a free-float capitalization-weighted index 500 leading companies of the us economy and widely regarded as the best single gauge of the us equities market. Dow Jones Industrial Average (DJIA) is a price weighted index having 30 large and liquid blue chip stocks traded on U.S. exchanges. The contract size for the S&P 500 is 250 units and DJIA is 25 units, which approximately works out to 2.5 lakhs per contract. There are four quarterly expiry contracts in the mar-jun-sep-dec cycle and will be traded during Indian market time. Indian investors are currently permitted to invest in foreign assets subject to the limits stipulated by the Reserve Bank of India. Futures on S&P 500 and DJIA, currently being introduced by NSE shall enable traders desirous of taking exposures to us market to do so, without taking any foreign currency risk as they are rupee denominated contracts. These contracts enable those invested in the us markets to hedge their equity exposure. Also, they can also be used as hedging tool by investors having a high exposure to stocks in sectors whose financial performance depends significantly on the prospect of the U.S. economy. Other than the above mentioned investors/traders, market participants who can understand the dynamics of the U.S. markets can have directional views on the movement of the indices. As far as small investors are concerned, this would be a avoid in the better interest of them. Yes, small investors are better off, if they avoid international futures.